I recently read an intriguing essay by a fiction writer, Nellie Hermann. She thought it curious that readers wonder how much fact is in their fiction. It made me think a bit about my own writing. If you have been reading my blog for more than a few minutes, you might know that my wife, The Mindboggling Mrs. Miyoshi, thinks that I lie in my blog. Now while I do not try to prevaricate (she probably thinks I am lying now too), I probably exaggerate or embellish a little here and there. I guess that is part of storytelling. The fish keeps getting bigger with each telling. So even with the “true” stories of life that I muse about, there is probably a little fiction too. That was not what Nellie Hermann was talking about. Nellie Hermann wrote about a phenomenon that undoubtedly starts with students analyzing fiction. They try to get into the minds of authors and look at the life and times of those authors to do so. They try to find some deep underlying motivation for that particular writer writing at that particular time and place. 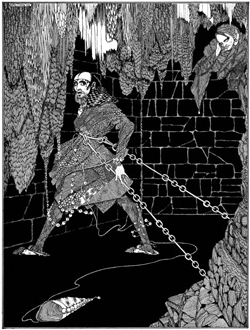 But who really knows or wants to know why Edgar Allan Poe wrote The Cask of Amontillado or The Tell-Tale Heart? I certainly do not want to know if parts of the stories were part of the author’s or somebody else’s life. But I suppose some inquiring minds want to know. After all, why would people ask Nellie Hermann or any other fiction writer what is real and what is not real in her novels? I had a similar experience with one of the books in my middle grade fiction series, Autobiography of a Sixth Grader. I had given a printed draft of the second or third book in the series to my parents to see what they thought. Or to at least give them a printed copy that they would read through to enjoy. It was funny because my mom said that as she read through it, she kept wondering which parts actually happened and which parts I made up. Dad said he just read it and enjoyed it for what it is. A piece of fiction. A story. Personally, I can relate to both points of view. While I do not necessarily want to know what motivated Poe or others, there are times when I wonder if something an author put into a book might have happened in his or her real life. I wonder how much events, both good and bad, shaped the author’s story. I wonder if an author is crazy or angry or simply writing a story. But other times, I just read. I just read for the enjoyment of the story. Actually, I usually just read fiction for the enjoyment of the story. Like I said, I would rather not know why Poe wrote what he wrote, but I like it. I am glad that there are students and others who are out there wondering what motivates an author to write. I am glad that there are authors willing to write about others wondering about the fact in their fiction. But when it comes right down to it, it does not really matter how much fact is in fiction. What matters is the story. Like Shakespeare said, the play is the thing. The story is the thing. Even when blogging or writing non-fiction (or what might pass for non-fiction), the story is still the thing. So whether I am actually a liar when I blog or a truth teller when I write fiction, I try to remember the story and the people in the story. And if I ever get to the point in my writing career where readers are asking me questions like they are to Nellie Hermann, I hope I have something as interesting to say as she does.